The Sound of Music is a musical with music by Richard Rodgers, lyrics by Oscar Hammerstein II, and book by Howard Lindsay and Russel Crouse. It is based on Maria von Trapp’s book The Story of the Trapp Family Singers. Songs from the musical that have become standards include “The Sound of Music”, “Edelweiss”, “My Favorite Things”, “Climb Ev’ry Mountain”, and “Do-Re-Mi”. The original Broadway production opened in November 1959, and the show has enjoyed numerous productions and revivals since then. It has also been made into a popular 1965 movie musical. 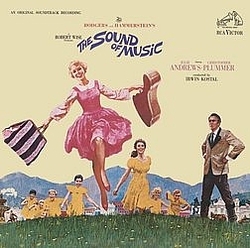 The Sound of Music was the final musical written by Rodgers and Hammerstein; Hammerstein died of cancer nine months after the premiere. Subscribe to The Sound Of Music RSS Feed to get latest lyrics and news updates. What do you think about The Sound Of Music? Let us know in the comments below!